Re: A case for full face? do you think this kind of cut can occur with LF Impulse? With the goal of "mouth protection," I added two helmets to my quiver. Both helmets are one-size-only with an internal adjustment band. #2 has a set of optional internal pads as well. I would normally wear an XL motorsport or skiing helmet - big noggin. Helmet #1: Fits a little larger than #2, and works over my 6mm wetsuit hood. I did have to modify it for comfort- the stiff ear protection areas were too tight for me, so I spread them with clamps and used a heat gun to get the plastic to take a wider shape. After this modification, I can wear the helmet for an hour without thinking about it. Hour 2 is "ok" but I start wanting to take it off. Hour 3 would lead to aggravation, but I never find myself foiling for that long of an uninterrupted period, so I'm satisfied here. The face guard really does not impact fit at all- all of these comments apply to the helmet itself, and aren't made worse by the presence of the metal bolt-on guard. Helmet #2: This helmet has a more narrow opening, and donning it would be a painful process that feels like grinding your ears off; but I learned to flex the helmet into a wider shape, by pulling the chin straps outward strongly when putting on the helmet, and I find this sufficient. Once it's on, it's fine. Again probably not for 3 hours; but until then, no complaints. To assemble #1, I needed some T-nuts and hardware not included with the face guard itself. The face guard includes only 1 T-nut, so I stole the other 2 from the adjustment mechanism that I removed from the fullface helmet. Buyer beware. Note: I use this helmet without the ear loop close-out foam inserts- they fall out and get lost. Note: The mask cage itself is very lightweight- this is not a hockey grille. Thankfully it does not feel weighty while riding and I have no complaints of additional effort or neck strain while wearing it. The mask of #1 does not make additional noises. I use this helmet exclusively with a hooded fullsuit, so the helmet wind noises are muffled by the hood and don't bother me. Helmet #2 makes a similar amount of noise as #1. There are no specific parts of the helmet that whistle loudly, so I find the wind noise acceptable, and certainly not at a painful level. Of course, there is still more wind noise than riding with a bare head. Helmet #1: Staring through a cage is sometimes distracting, but I get used to it when up and foiling. Otherwise, the full range of visibility is still available. This is for cold water kiting... I can't wipe my runny nose as easily (one-finger poke is possible; swipe is not). Helmet #2: restricted downward visibility. This makes it practically impossible to see my foot position on the foilboard- not something I glance at much, but with no helmet or #1 I can quickly glance at the deck at any time; here I cannot see the deck of the board, without a full-head motion. Weird but ok.
You'll have to get creative to spit without making a mess, from either helmet. I'm not a foil-racer, so a high-speed get-off for me is 20mph-ish. Anyhow, no complaints here for either helmet. The wire grille of #1 has effectively no drag in the water; and I haven't had the sensation of #2 'pulling' on my neck in a wipeout. Maybe it's a rare possibility; seems fine to me for now. #2 rides a little high, so I think it's still possible for a pointy part of the board or foil to touch my jaw in a crash, but I don't think it's possible for those things to reach my mouth. The open eyeport is a slight concern, but I think there's enough structure around it to deflect the blunt edges of the board in most orientations. Not perfect, but a big improvement from open-face. And great mouth protection. I plan to keep using #1 in cold weather and #2 in warm weather, with no further changes. If this amount of hassle avoids just 1 tooth-knocked-out incident in my next 10 years of kiting, that's worth it to me. If the industry comes along with future products which include mouth protection, that improve upon the comfort or wind noise of my current equipment, I would certainly consider upgrades. 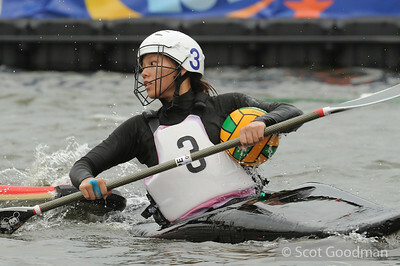 "kayak polo helmet". Those are quite small and have full face metal face guard and made to endure paddle hits. I had my LF fish hit me in the nose after a crash, bleeding profusely with a fractured bone. The thought of it could have been my eye freaked the daylight out ofme. I since wear a full face X bike mask, and always stretch my arm out in front of my face in every crash, like a American football players move. I wish I weren't drawn to these threads that have injury pics. I ride Moses 637 and 420 almost all the time and when those suckers are sticking up or coming around on you in a crash its a bit freaky. Never had a cut or a jab thank god. why wouldn't protecting your face with both arms when falling suffice? Local Beach: Maracaibo lake, Venezuela. Gear: GW111 , apollo 7m, carbon bar. I think full face helmet may reduce the rare risk of facial injury, and massively increase the very likely risk of neck injury. The bucket effect from a full face helmet would be huge. 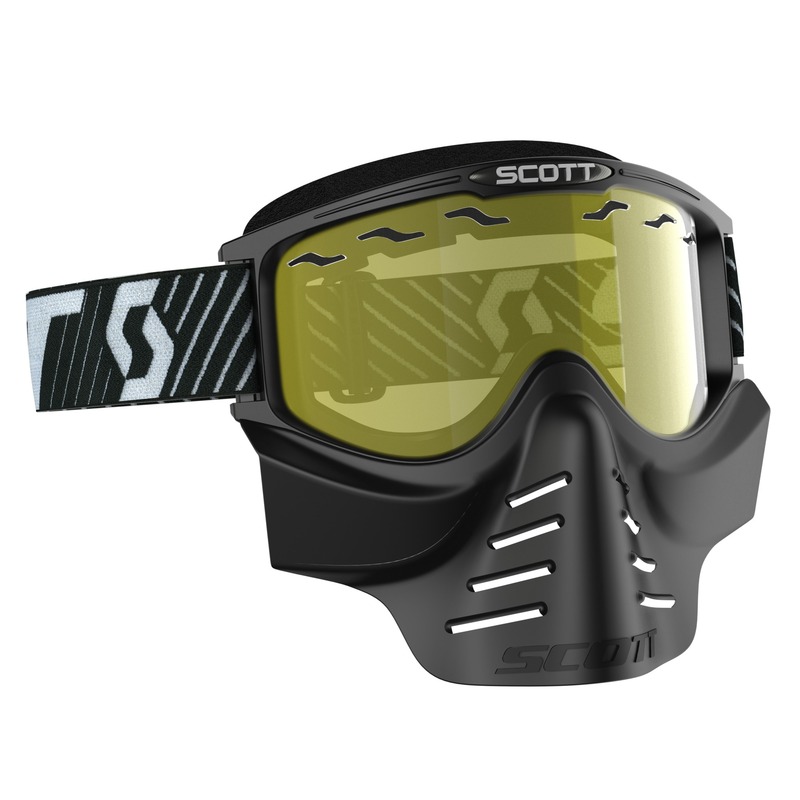 A ski or motocross face shield might be useful. Not sure about the integrated goggles .... or if anybody would actually wear one. The bucket effect from a full face helmet would be huge. No complaints here for either helmet. The wire grille of #1 has effectively no drag in the water; and I haven't had the sensation of #2 'pulling' on my neck in a wipeout. Works for me. Well I haven't had a bad Crash since wearing this, but it feels safer with some protection on.